I have been trying to lay low this weekend after finding out Friday that I have bronchitis. Despite that, I wasn't going to miss the annual Stroll for Epilepsy benefiting the Epilepsy Foundation of Texas. The company that I work for manufactures a medical device for patients with epilepsy so it is a yearly event that is near and dear to us. 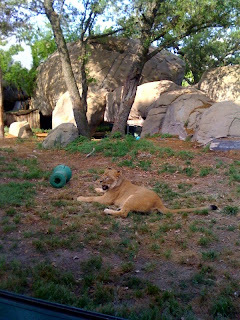 For the past two years it has been held at the Houston Zoo which is a great place for an early morning stroll. A few of the pictures are a bit fuzzy. I had forgotten my camera and only had my trusty iPhone to document the day. 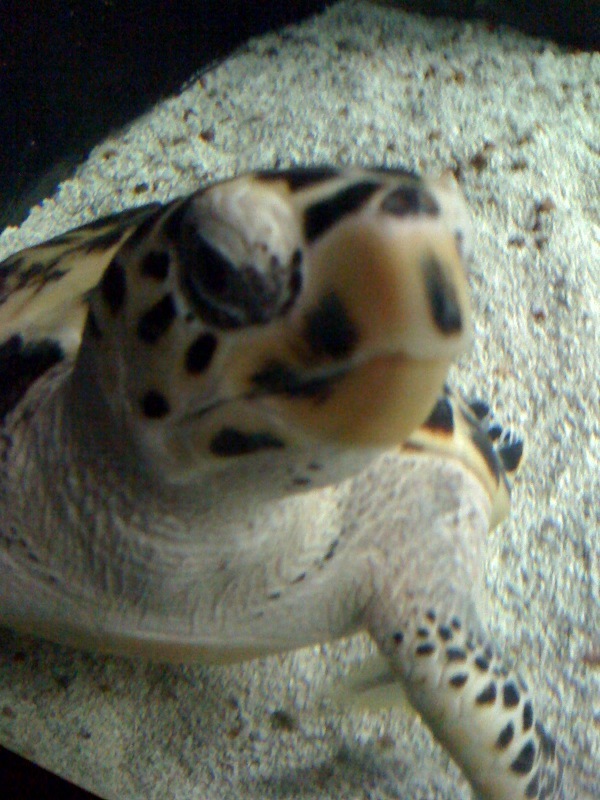 I still enjoy this sea turtle photo. He or she, who really knows, was such a cutie and would follow your hand if you moved it along the aquarium. 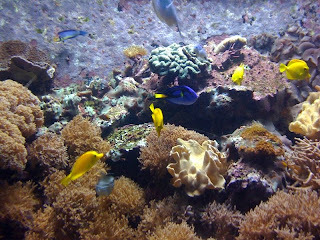 I have always wanted a salt water aquarium as the fish are so much more vibrant than in fresh water ones. After researching how much work they are, though, I will just check out the ones that someone else is tending to! 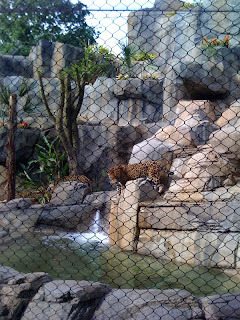 The jaguar exhibit is the newest at the zoo. They used to be in such a sad little place, but no more. 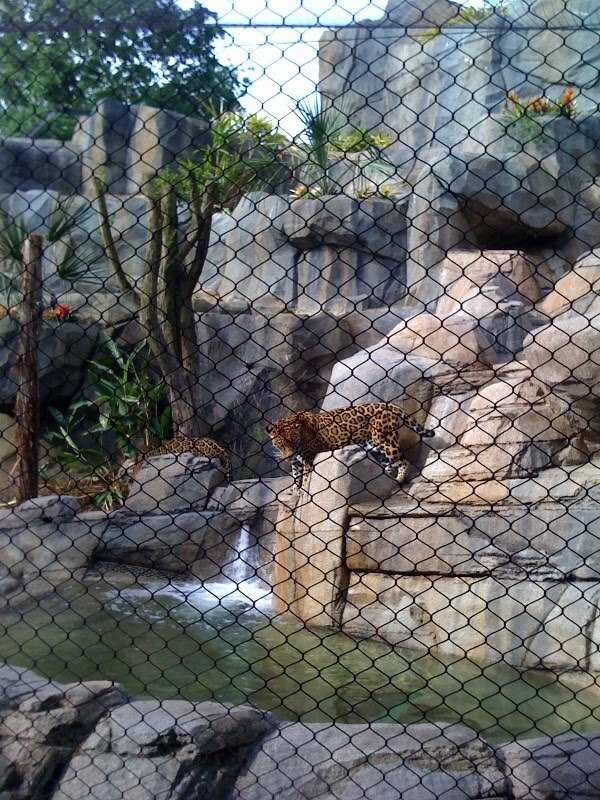 Now they are in an enclosure that is fitting for such beautiful animals. The giraffes were just waking up to their breakfast. This lion looks so calm now. Not so a few minutes after this photo was taken when one of my coworkers started beating on the glass. She raised up and started roaring at him. 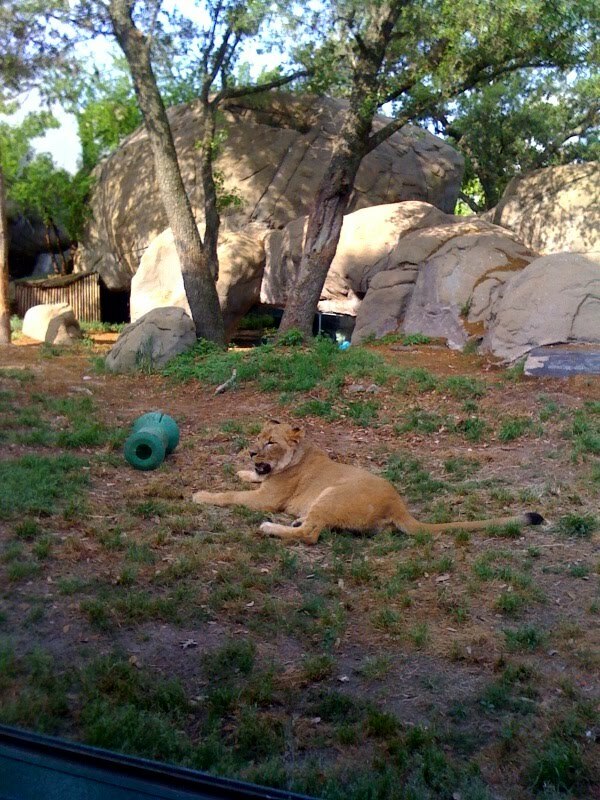 If she could get through that Plexiglass she would have shown him who was the queen of the jungle! It was a great day and our company alone raised almost $60,000. That money will go to great things such as sending children with epilepsy to camps and retreats set up just for them. The Epilepsy Foundation also has community education programs and medical assistance. If you would like to learn more about this organization check them out here. What a treat - to do a walk for charity AND to see all the neat animals! I love sea turtles. When I own the Atlantic Ocean I'm going to get myself a couple. You're so dedicated to helping others, I love it! 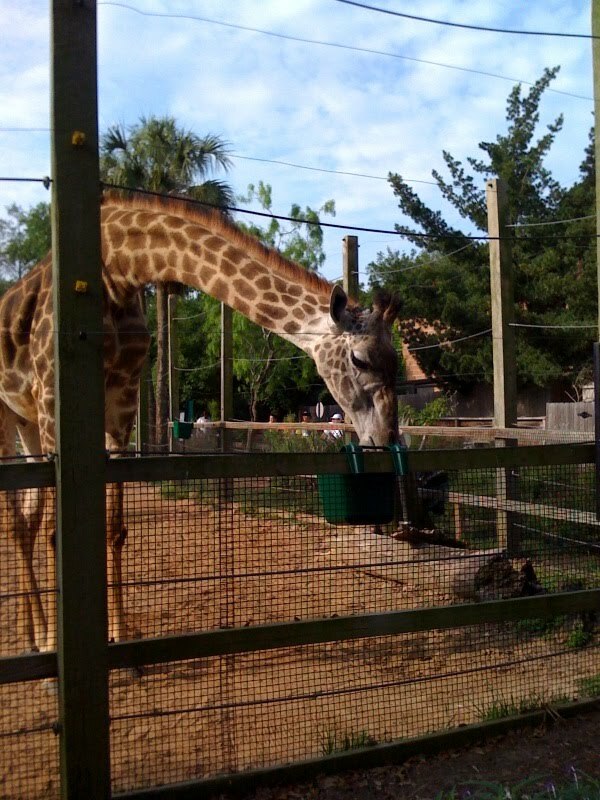 A walk through the zoo sounds awesome though. I used to want a salt aquarium too and fill it up with little Nemo's. Then I learned it would take more than just filling a tank up with water and pouring salt into it. Dorkys-thank you. I wish I could do more. There are so many great organizations out there! I am with you. Once I saw all of the things that went into those tanks the Nemo's were not so cute anymore! I am feeling much better! Thanks!